Philosophical movies inspire our minds to observe reality from a different perspective that most would not acknowledge. Embedded with deep wisdom, these philosophical films can really awaken someone with just a scene, a quote, or the entire moral of the story. Like myself, I’ve been inspired by numerous films, The Matrix being a primary one. All having deep insight about life, exposing synchronicities most are not aware of. Lets observe the most popular philosophical films that teach great lessons and wisdom’s to carry through life. Bruce Lee for example had great philosophies embedded in his movie scenes. His “flow like water” analogy to martial arts sink into the very core of reality. To flow like water is to not be bound by any form, and in this formless state can you harness true power, true potential without limits holding you back. Having any belief in a structured format eventually withholds you from pursuing action without expectations. Cause like water it will adapt to its surrounding infinitely, and unbiased. To flow. This knowing applied in martial arts can manifest a Golden fighter if they can learn to flow into what ever they do. To no think, but to react instinctively makes you far more superior to any opponent. Bruce Lees simple analogy of adapting the flow like water technique blew the lid off the numerous kung fu fighting styles that are useless and distracting to the simplicity of fighting freely, with no style but flow. And as we all know the best performance possible for the subconscious minds power is to flow effortlessly without thought. This movie defines the very essence of mans inner-ego in a phenomenal philosophical manner. Revolver tells the story how the ego can be transformed into enlightenment through self awareness and humility. Jake Green (main character) grows in this philosophical movie by overcoming his darker desires, which his ego thrived. This scenes quote is hinting in order to gain control of you’re life is to change (reverse) what addictions control you now. These addictions being habitual patterns of thinking and acts that force repetitive circumstances. Once you begin reversing your habits something else will take its place. Basically inner-transmutation can trick the mind into letting go. You may not believe this but you’re ego controls most of you’re life whether your aware or not. All daily expectations, desires, ambitions are patterned subconscious behaviors stimulated by the ego and outside reality. There is a scene where Jake is locked in an elevator at level 7 to signify Spiritual Awareness. The the lights cut off (in darkness to face the self). Jake begins acknowledging his thoughts and ego-self and begins speaking with it. Jake manages to subdue his ego by calling it out, that “it does not exist”. Once his illusion of self was revealed enlightenment came after. The elevator activated again an stopped at level 1 to signify connection to oneness again, Light. Jake became at peace, humble and fearless of death when face to face with Dorathy the mob boss. This film is by far one of the deepest philosophical movies in our history. It unveils obvious signs that we too live in a false version of reality that is controlled by a higher authority that seeks our minds energy to give it power. To better inner-stand the esoteric symbols within The Matrix is to reference biology, mythology, physics and religious interpretation. When Neo dies and comes back as the One (reincarnation) he is then able to see the entire fabric of reality in the form of numbers and codes (energy). This point in the movie is VERY accurate in the sense that at the deepest level of physical reality it is all energy apart of the same whole universally. The “One” is our current universe connected by the law of energy and light. The fact directors inserted these deep perspectives into this film was brilliant. The Harry Potter series contains numerous esoteric secrets hidden. For example, in Prisoner of Azakaban professor Trelawney tries to teach her students about inner-vision through broadening their minds. Telling them if they can learn to clear their minds they can visualize the future in many forms. ” The truth lies within deep within a book waiting to be read. But first you must broaden your mind (empty it). First you must look beyond”. This is key to understanding our Minds Eye today, using the imagination to maneuver reality to our will. It seems the directors of Harry Potter wanted to make it clear that there is some truth to envisioning the future through our imaginations inner-eye. An interesting scene to learn from is professor Lupins class discussion about “how to defeat fear”. Teaching students the best way to counter fear in the mind is to chant “Ri-dic-u-lous” while envisioning a funny image of their worst fear. In reality this concept is a form of mental alchemy in which an individual reverses an emotion at will using dual opposites. In this case laughter is the opposite of fear. Hinting to viewers You too can overcome any form of fear by practicing the art of humility. Avatar made spiritual links between the nature of our planets connection to human consciousness and hints to our own avatar bodies. Ancient cultures have said before religions existed humanity were worshipers of Gaia and the Sun. Whether they were primitive tribes or advanced civilizations, history shows a timeline when humans connected to nature on a conscious level. 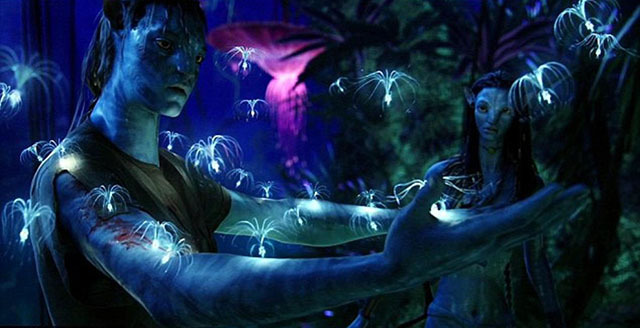 What makes Avatar one of the best philosophical movies of our time is its message of unity through nature and understanding our own Avatar hosting the soul. In the movie the elite forces had the technology to transfer consciousness from a man, into a complete different being.